Sir Isaac Newton, born in 1643, is a world-renowned English physicist and scientist. His contribution has been paramount in the arena of physics. In 1687, Newton published the ‘Philosophiæ Naturalis Principia Mathematica,’ whereby he proposed the three laws of motion. These three revolutionary physical laws lay the foundation stone of ‘Classical Mechanics.’ He provided a logical explanation of the ideas of Galileo and Aristotle, which had only been theories in the past. 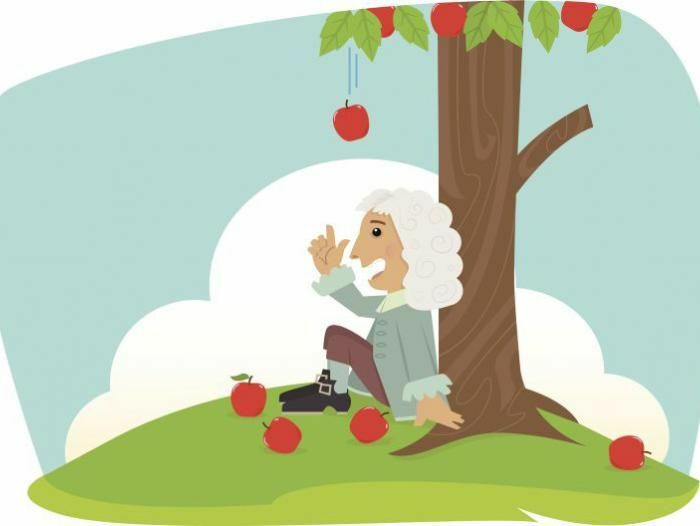 To formulate the laws of motion, Sir Isaac Newton treated massive bodies to be mathematical points. These mathematical points had no size or rotation, which allowed him to ignore additional factors like friction, air resistance, and temperature among others, and take into consideration only the object’s mass, length, and time. However, the three physical laws cannot be applied to massive and deformable objects; nonetheless, they do render accurate approximations in many such cases. Let us discuss the ‘Three Laws of Newton’ in detail. The first law of motion states that every body continues to be in its state of rest, or of uniform motion in a straight line unless it is compelled by some external force to change that state. A body which is at rest continues to be in that state. In order to make it move, an external force has to be applied to it. A body in motion continues to be in a straight line motion. However, this statement may seem a bit contrary to our daily-life experience of when we see a ball rolling on a rough ground coming to rest abruptly. What happens is that the external force, which acts on the rolling ball, is in an opposite direction, i.e., friction, and hence, retards it. It takes force to change the original state as well as the motion of an object. Newton’s first law is also known as the ‘Law of Inertia.’ Inertia is the inherent ability of a body because of which it has a tendency to maintain its original state and opposes any change in its state. Mathematically, the inertia of a body is directly proportional to its mass; therefore, heavier bodies need more force/effort to change the state. A coin is placed on a playing card covering a glass. On giving a sudden jerk to the card, the playing card flies off and the coin drops into the glass. This happens because the coin is still at rest due to the inertia of rest. The dust from a carpet is removed by hanging the carpet and beating it with a stick. When the carpet is beaten, it moves backwards and forwards. The dust particles, in the carpet, remain at rest due to the inertia of rest and, hence, fall off. The passengers sitting in the bus experience a sudden jerk when the bus starts moving. This happens because the inertia of rest, which acts on the passengers’ upper body; making them fall back when the bus is accelerated. A clean hole is made on a glass window pane when a bullet is fired; whereas a glass window pane is shattered into fine pieces when a stone hits it. The stone, with less speed, remains in contact with the glass window for a longer period of time; while the particles of the glass window pane near the hole are unable to share the rapid motion of the bullet and, hence, remain undisturbed. Therefore, a hole is carved on the windowpane. An athlete usually runs for some distance before taking a long jump. He does so to overcome the inertia of rest, and to gain momentum; hence having a greater speed at the time of taking the jump. While dislodging ketchup from the bottom of the bottle, the bottle is turned upside down and thrust with rapid motion. The thrusting helps the ketchup at the bottom to attain the inertia of motion. Now, when the thrust is stopped abruptly, the ketchup, which is still in motion, comes out of the bottle. The external forces are the ones which act on a body and exist outside/external of the system of that body. It is only the external forces which are responsible for producing any change in the state of the body. 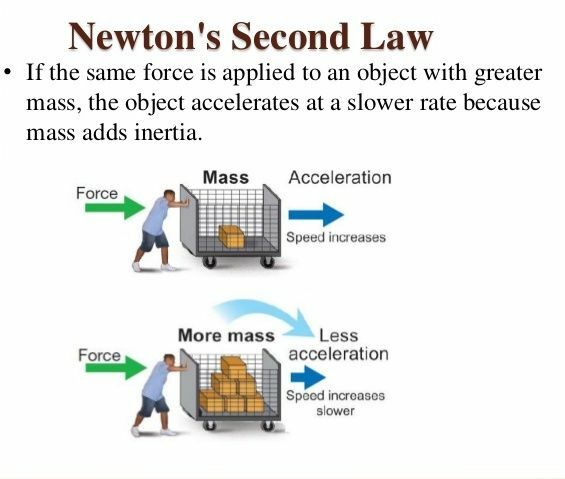 The force applied is directly proportional to the mass of the body and acceleration. You require a much greater force in pushing a car, compared to the force required to push a soccer ball. It is extremely difficult for one person to lift a box weighing 6 pounds, whereas the same box can be lifted easily by multiple people. Since, more the number of people, more will be the amount of force, and hence, the box can be lifted with less difficulty. A fielder’s hands are pulled back while catching the cricket ball coming with a high speed. The little delay reduces the momentum of the ball. The second law states that the rate of change of momentum is directly proportional to the force applied in that direction. In case, the ball is stopped quickly, the momentum is reduced to zero suddenly. Since the rate of change of momentum is quick, the player may injure his hands. When the player pulls his hands back, more amount of time is given to change the rate of momentum to zero. Consider the game of tug-of-war, the two teams pull the ropes in the opposite direction. However, the movement of the rope will be a result of the net force on the rope. The net force is, in turn, determined by the difference in force applied by the two teams. Whichever team is pulling harder or applying more force will win. As the mass of a body, ‘m’, is always scalar, therefore, force and acceleration are always positive. 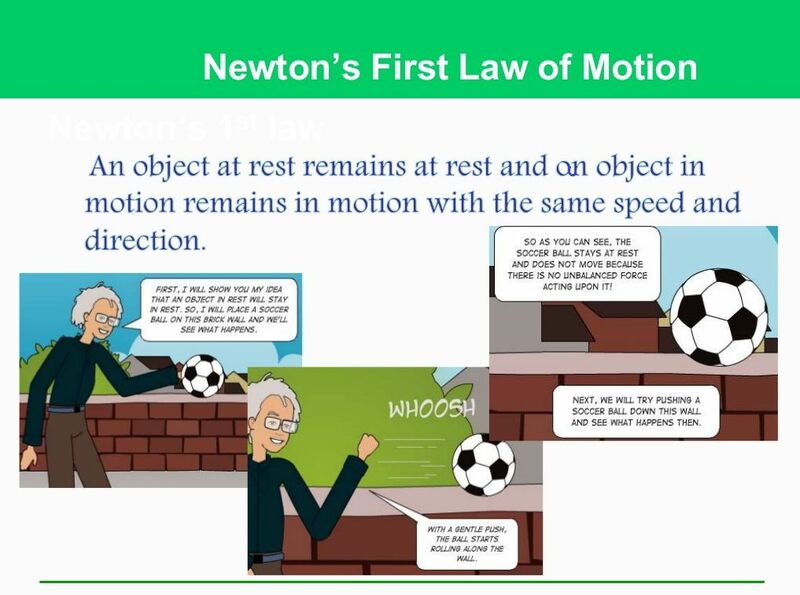 Newton’s second law is also referred to as the ‘real law’ because the other two laws can be explained with the help of the second law. The SI unit of force is Newton (N). A force of 1N is explained as; a force of 1N acting on the body with mass 1kg and producing an acceleration of 1m/s2. The third law of motion states that for every action, there is an equal and opposite reaction. Force always exists in pairs. A single and isolated force cannot exist. If two objects interact, the force, F12, exerted on the object 1 by the object 2 (called action) is equal in magnitude but opposite in direction to the force, F21, exerted on the object 2 by the object 1 (called reaction). Though action-reaction are equal and opposite, they never cancel each other. It is the horizontal component of the reaction, rendered by the ground, which enables us to walk, move forward, and run. The gases ejected downward because of the burning of the fuel in a rocket exerts an upward reaction which is responsible for propelling the rocket upwards. The action of a rotatory lawn sprinkler is based on the third law of motion. The water coming out of the nozzle exerts an equal and opposite force in the backward direction. This causes the sprinkler to rotate in the opposite direction and hence, water is scattered in all the directions. When a man jumps down on the shore from a boat, the boat moves backwards. A fireman has to hold the pipe strongly in order to prevent it from going backwards; as the water flowing out of the pipe pushes it backwards. Inertial frames or non-accelerated frames. Rigid bodies, which show no deformation. Non-Relativistic bodies; the bodies moving with velocity smaller than the velocity of light. Bodies of size greater than the atomic size.